What Happened to Dell's Customization? I don't know about you, but I feel like Dell's customization options have become dramatically restricted over the past year or so - it's like they're trying to get out of the custom, built-to-order computer business and into the "Buy Model A or Model B" business. I can't tell you how many times over the past year I've tried to spec out a computer or laptop and found that I'm locked into a "template" where the CPU, screen resolution, and GPU are locked down - allowing customization of the RAM and hard drive, and that's about it. Bizarrely, you can't add a touch screen to the $849 model. Nor can you upgrade the CPU on the $749 model. So you have to choose between having a touch screen and having a powerful CPU. I can't think of any possible reason why the X4 CPU wouldn't be compatible inside the chassis of a computer with a touch panel. You can't add a bigger hard drive, or more RAM, to the $599 model. 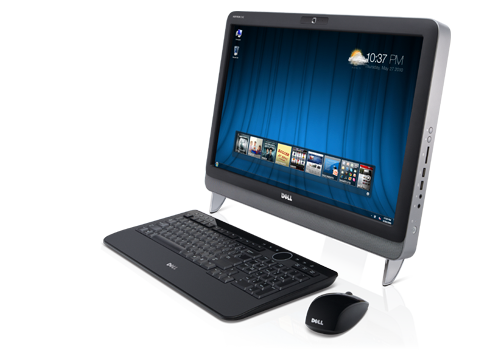 Why would Dell force customers to chose between a touch screen - which is key to the product - and a quad-core CPU? I'd never suggest anyone buy a dual-core 1.6 Ghz CPU for a desktop computer - that's just not very much grunt. Why is Dell restricting customers from building the computer they want? That's Dell's key advantage against HP in Canada - HP only sells locked-in product models here in Canada, much to my continued dismay - but I find Dell more and more inflexible when it comes to offering me choice as a customer. What's going on with you Dell?